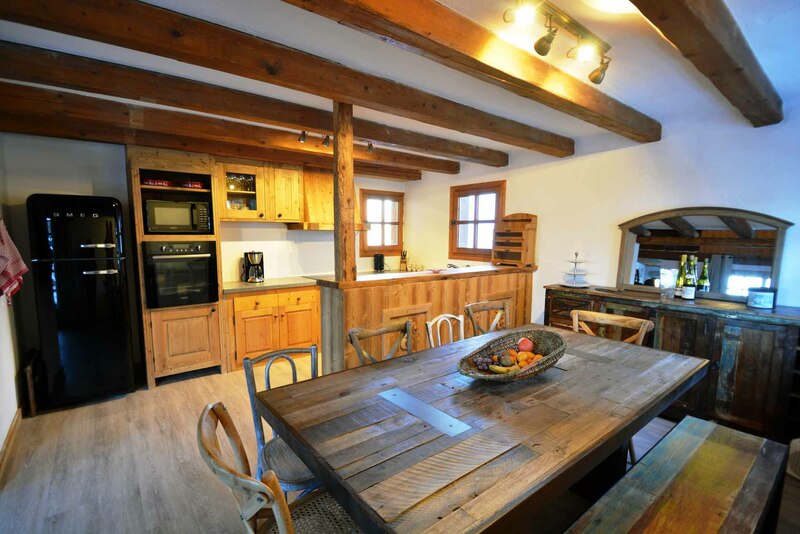 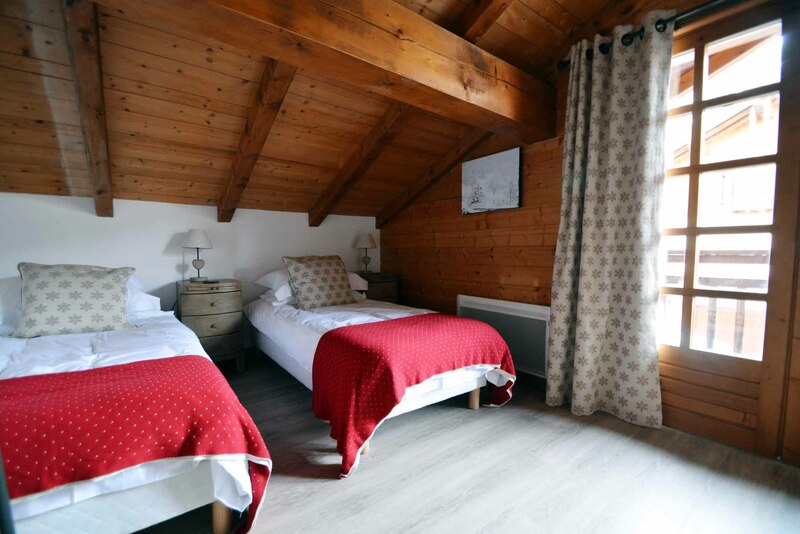 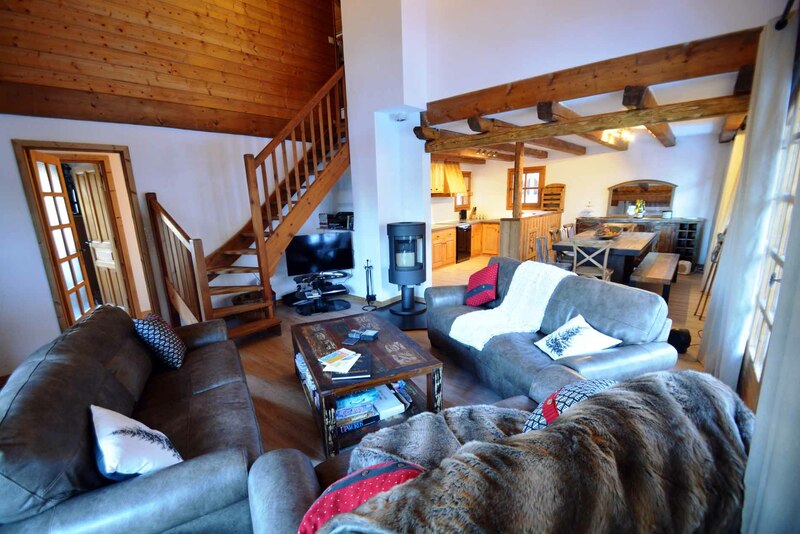 A newly renovated spacious chalet in the picturesque village of St Bon. 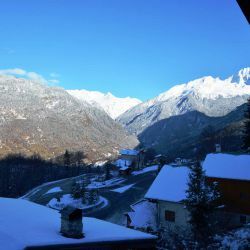 The lovely French village of Saint Bon, at an altitude of 1,100 metres, is only a couple of minutes drive below the Telecabines of Le Praz Courchevel 1300 where there is lots of free parking. 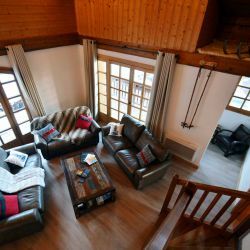 The free resort ski bus also connects Saint Bon with the other resort villages of Courchevel and, depending on snow conditions, you can usually ski back to within 150 metres of Saint Bon on piste. 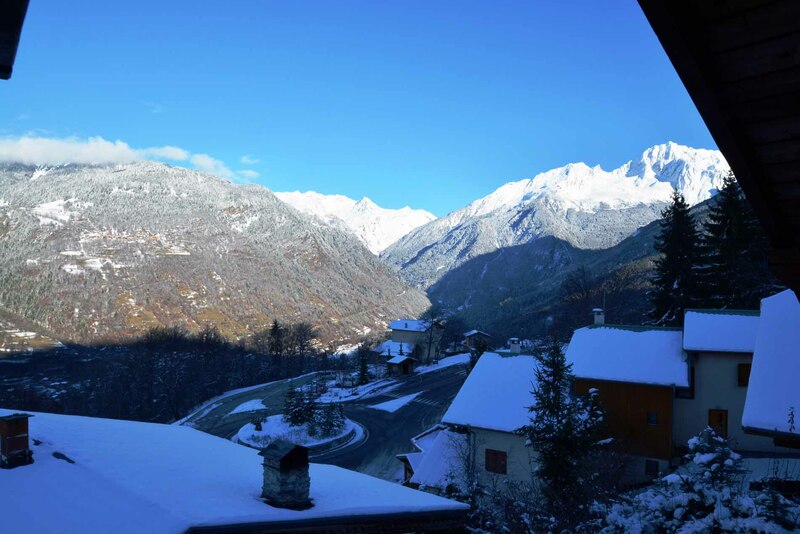 The last 150 metres is off piste but over what is, in summer, an open grassy slope. 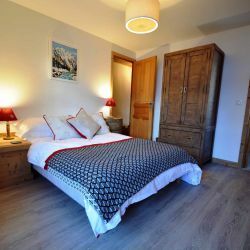 The Black Pearl Pizza restaurant & takeaway is only 50 metres away and the free resort bus runs into the evening for visits to the many other restaurants, shops & bars in the resort villages. 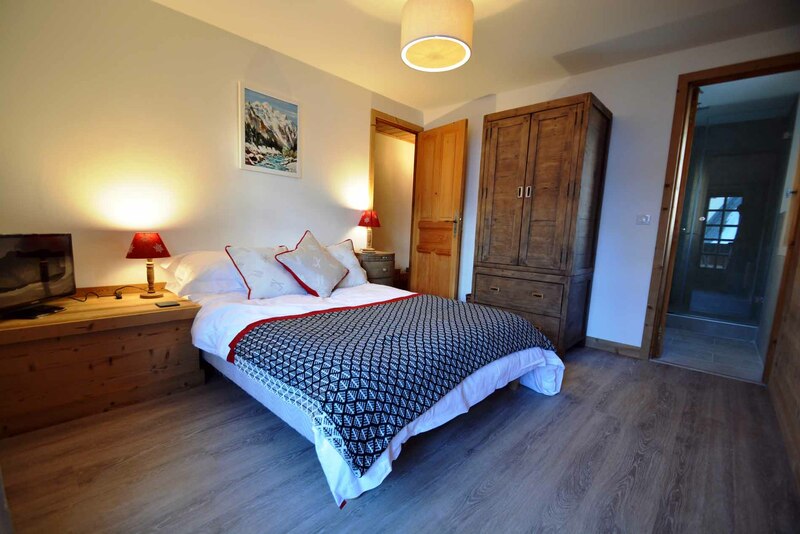 This property has been tastefully finished with plenty of room for up to 11 guests. 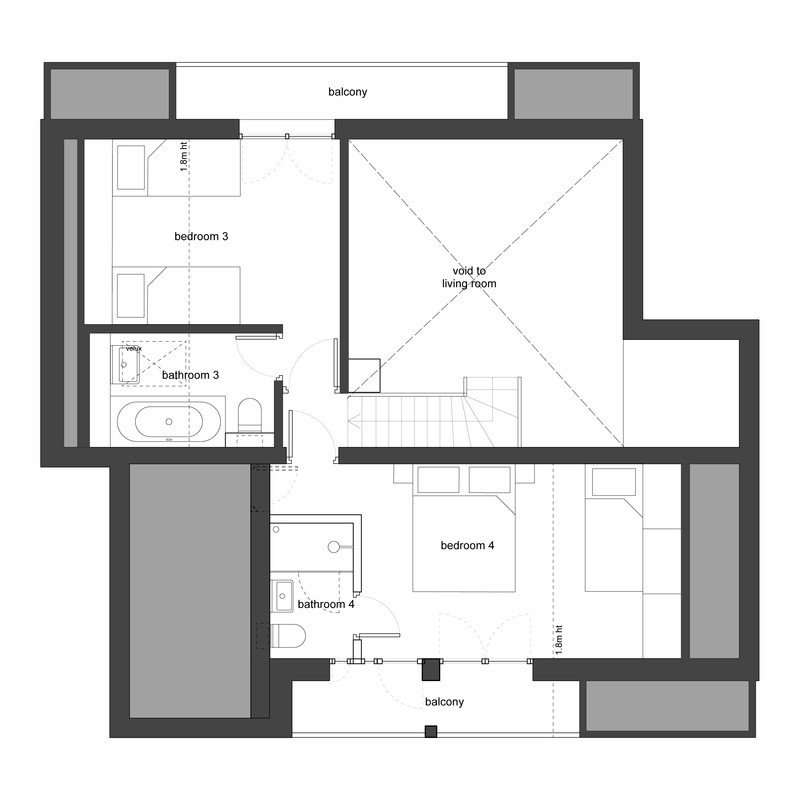 Each of the 4 bedrooms have wall-mounted flatscreen TVs and come with a tablet PC, complete with games and other functions. 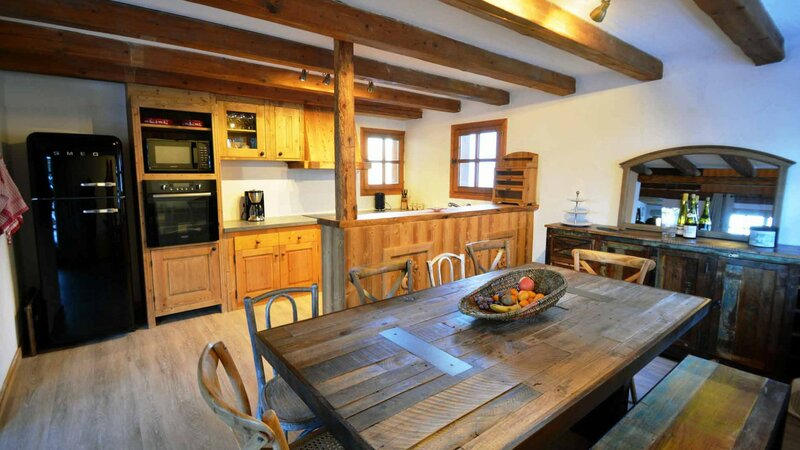 The open plan living, dining and kitchen area has been upgraded and fully furbished. 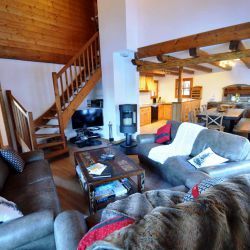 The living room has a modern wood burning stove, 40 inch flat screen TV and brand new furniture for you to relax on after a long day on the slopes. 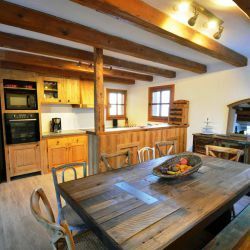 The kitchen is fully equipped and includes hand-made solid wood units with everything you need to enjoy a self-catered holiday. 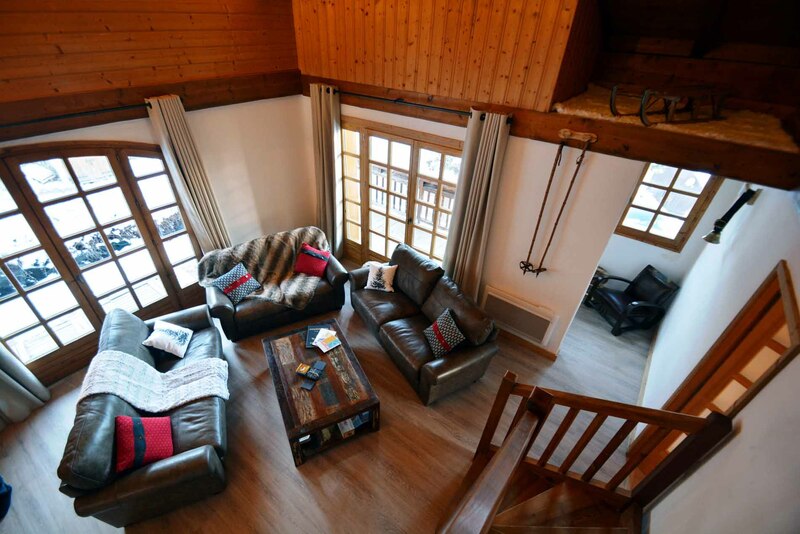 Also the chalet has its own integrated heated boot room with its own entrance. 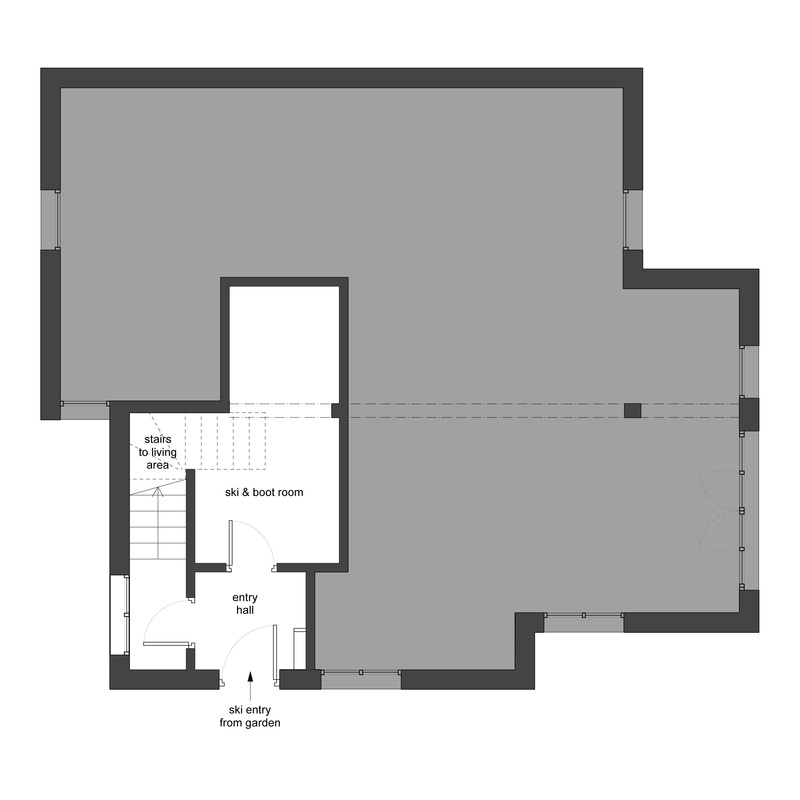 Entrance hall, with heated boot room containing washing machine and tumble dryer. 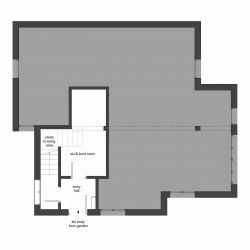 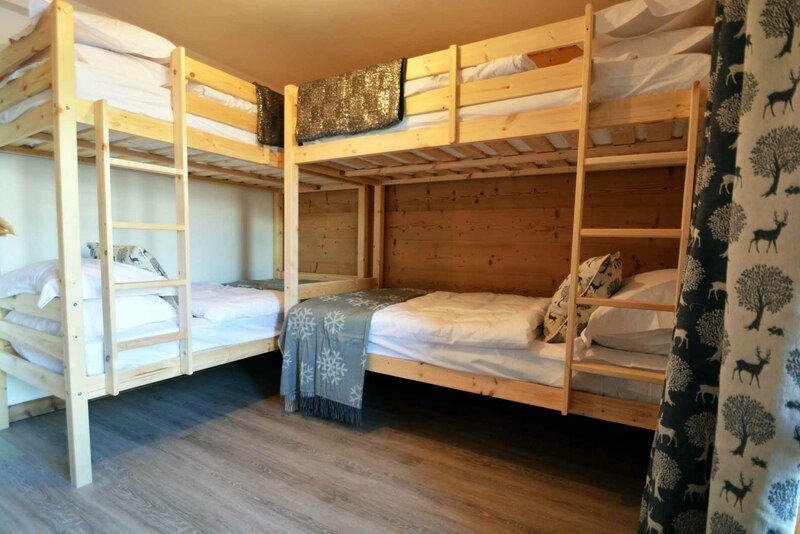 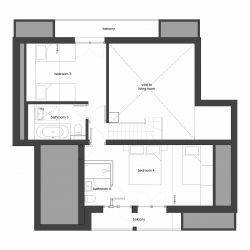 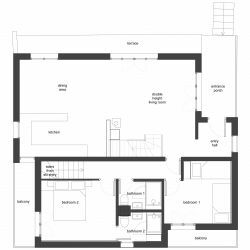 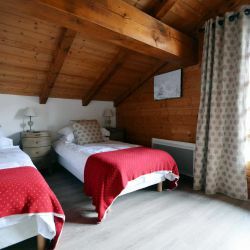 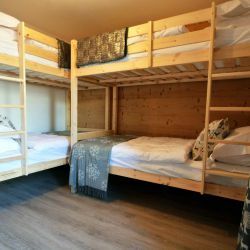 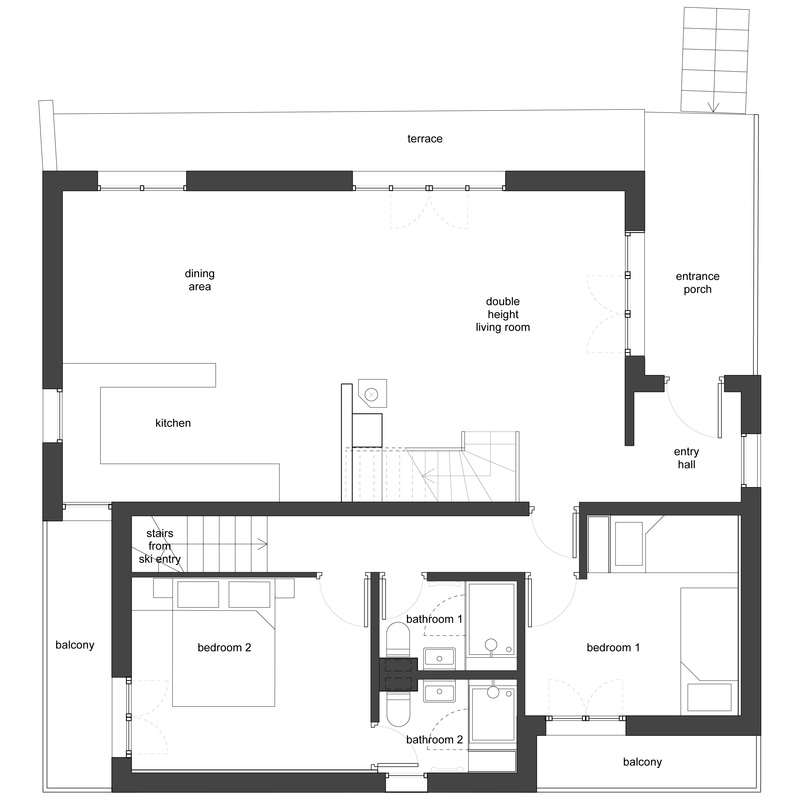 Bedroom 1: Double bunk room, balcony with mountain views, with 4 adult bunk beds, TV and Hudl2 Tablet PC, adjacent to shower room with shower, WC, wash basin and heated towel rail. 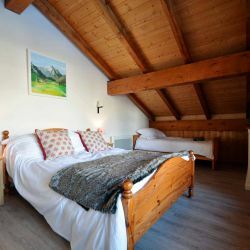 Bedroom 2: Double room, balcony with mountain views, TV and Hudl2 Tablet PC. 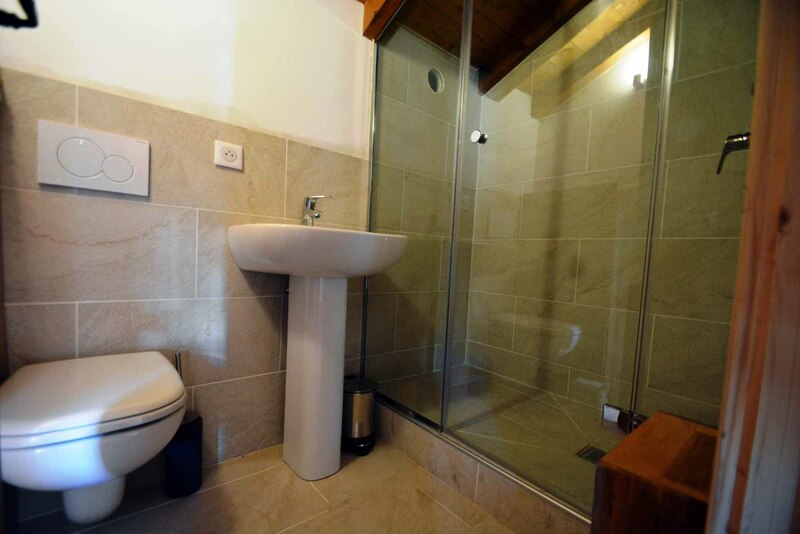 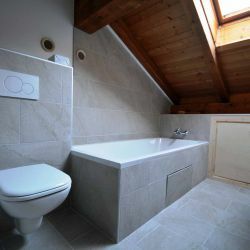 En-suite shower room with shower, WC, wash basin and heated towel rail. 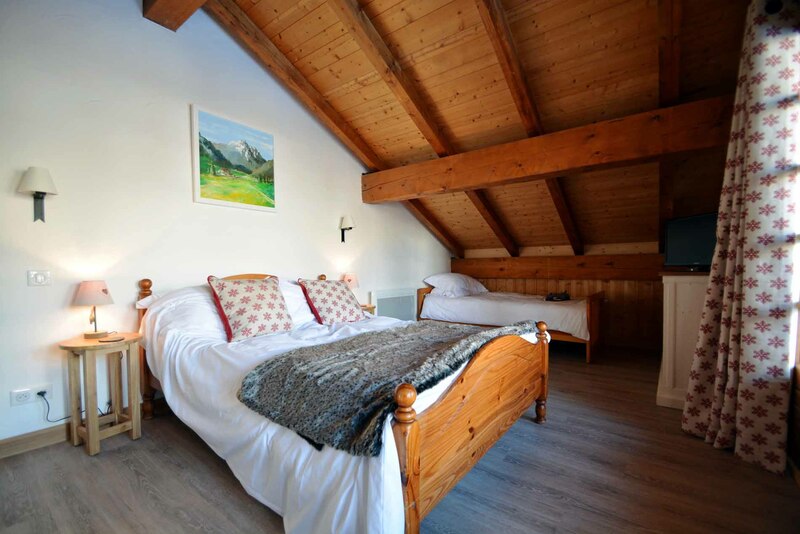 Bedroom 4: Double room plus single bed (sleeps 3), TV, Hudl2 Tablet PC, and balcony with spectacular mountain views. 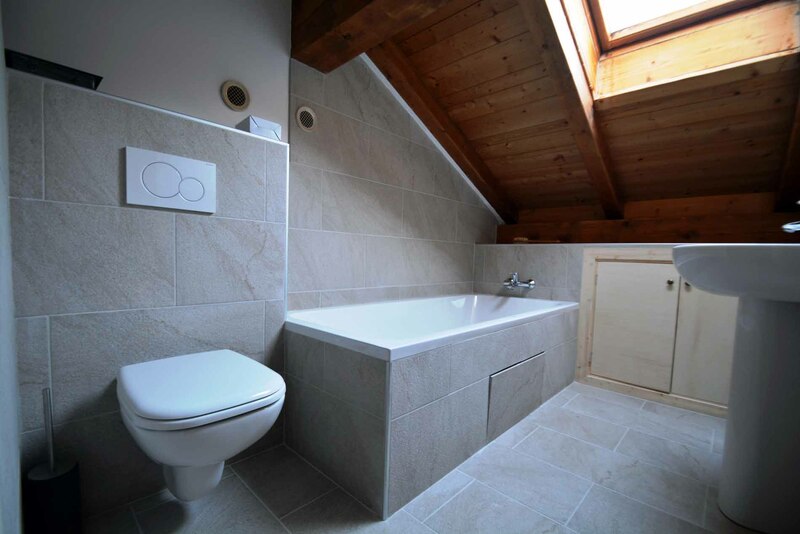 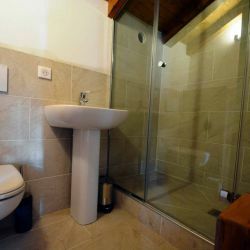 En-suite shower room with shower, WC , wash basin and heated towel rail.